I've been seeing a lot about "Shakespeare in the Park" on various quilty blogs lately. Intrigued, I looked up the quilt and it's gorgeous. Then someone mentioned what book it was in and...lo and behold...it was a book I already owned! I inherited The Creative Pattern Book: Complete Patterns, Intriguing Ideas & Musings on the Creative Process by Judy Martin from my mother when she passed away and it's been on my shelf for three years. I'd glanced through it once or twice when I first got it, but hadn't spent much time with it. The other night, I pulled it off my shelf and have now spent several nights reading through it. Figured it was time to do a review! I actually have somewhat mixed feelings about The Creative Pattern Book, although I do give it four stars. 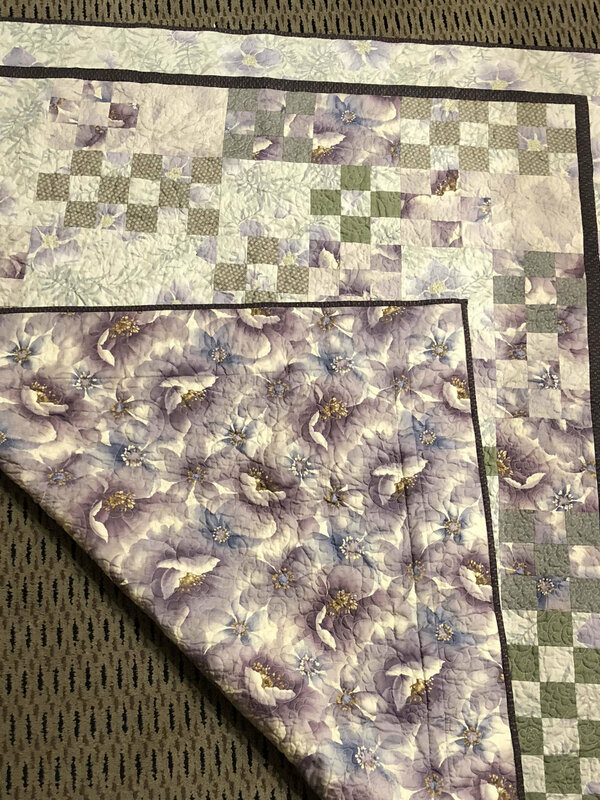 I like it very much for where I am now in my quiltmaking journey--I've been doing it for several years, and could probably rank myself somewhere in the intermediate category. This book has some elements that suggest it's for beginners but to be very candid, if this is the first book I'd ever picked up, I suspect I'd have been scared off before I even got to the third page. Hence, my mixed feelings. Martin's writing style is engaging and there are several excellent elements to this book that are missing in a lot of other pattern books or books on technique and skills. And the quilts are beautiful. But the text is extremely dense and the layout doesn't help it any--I could've used a few more bullet points or some such method of separating ideas out from one another and making the lists more clear. I liked her "7 Secrets of Sewing Success." I had seen most of them before, of course, but there were a couple that I don't normally see in beginners technique books, such as #4 "Practical Point Trimming," and #7, "Finger-Press for Finesse." She comes across rather strongly in #5 "Aim for Accuracy" as she takes a potshot at the school of thought which says, essentially, "don't stress so much about perfection--you can usually fix things along the way." Instead, "Don't let anyone tell you that you can fix it later," she states unequivocally on p. 29. I don't have any issue with encouraging someone to be accurate. Yes, it does save you a lot of headaches in the long-run. But my mom taught me the "how to fix it" tricks when I was first learning to quilt, and I loved knowing those techniques. I don't need them nearly as much now as I did then as my skills have definitely improved. But I'm very afraid that if I'd been sweating perfection so much when I first started, I'd have quit in frustration. Instead, I could experience the pure joy of creation and playing with fabric for awhile, until I knew this passion had fully taken hold. Then I started working on my accuracy and made life easier for myself. Is that the long way around? Perhaps. But it worked for me. I love the fact that not only does she have "spool ratings" for the difficulty of the quilt patterns, but that she also includes a "lightbulb" rating. The spool rating is as you would imagine: the relative difficulty of the sewing techniques needed. She points out that none of the patterns is actually all that difficult, but three spool patterns include set-in seams which can take a little doing. But the lightbulb thing? Brilliant! As she says, "One-bulb patterns are repetitive and can be made with one lobe of your brain tied behind your back." Then she goes on to say that she's not included any one-bulb patterns in the book because they bore her. Two-bulb patterns "require that you stay awake" but aren't overly difficult; and three-bulb "require the full participation of an operational brain." I've never seen that type of a rating system and I actually find it much more helpful than the more typical sewing difficulty rating. 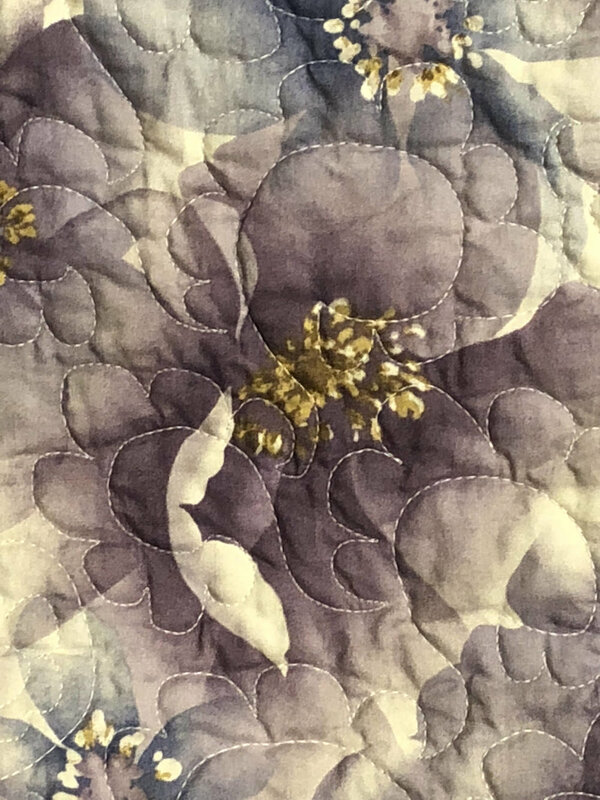 Most quilt patterns only require a few techniques to pull them off. But some patterns require a whole bunch of paying attention. I like that she's called that out right up front. Once you get into the pattern section, I like the fact that she gives so much background information on the design choices she made along the way, including things she changed from start to finish. She also outlines information about different color choices in the variations presented. My favorite components, however, are "Ideas for Taking [name of quilt pattern] Further," and "Ideas to be Gleaned from [name of quilt pattern]." I've not really seen either of those things dealt with--at least as thoroughly--in other books. They are extremely helpful ways to look at a pattern as not just a pattern, but a learning experience. And finally? She includes suggested quilting patterns with the designs ready to be turned into stencils. So if you're still learning how to choose quilting patterns, you aren't peering at a 6" picture in a book and holding it up to different lights trying to figure out where the stitches are. (Come on, you know you've done it!) 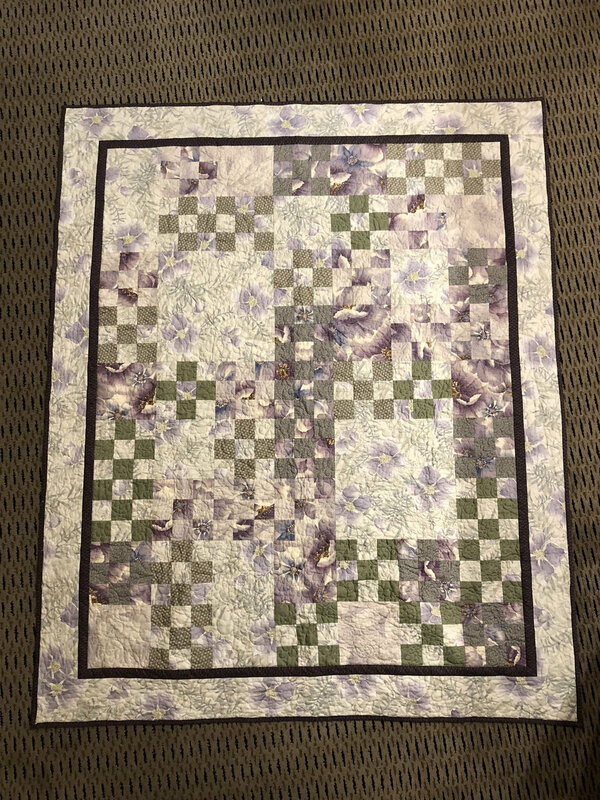 She also spends some time discussing why different quilting patterns work with each quilt patterns and suggests others you could use as well. Excellent learning material. I wasn't as keen on how the book was laid out--it's difficult to tell where each new quilt pattern begins. Rather than having the picture of the quilt right at the front of the pattern, it appears two or three pages in. All that separates one pattern from the next is a heading with a bar of color. They chose this layout because she starts with some overall information about the pattern in general, then gives several variations on each pattern--so the pictures show up right before their cutting and sewing instructions. Still, I would've preferred to see a picture of the quilt first before reading the background information so I'd know what she was talking about, without having to flip back three pages to check it out each time. All in all, I did find a lot of extremely useful information in the book. It's more than just a pattern book, although the patterns are gorgeous. It was inspirational and educational as well. If the layout had been different, I probably would be even more enthusiastic. If you're a rank beginner, you could certainly use this book. It'll just take some commitment. If you've made a few quilts and are ready for some more in-depth training, this is definitely the book for you. 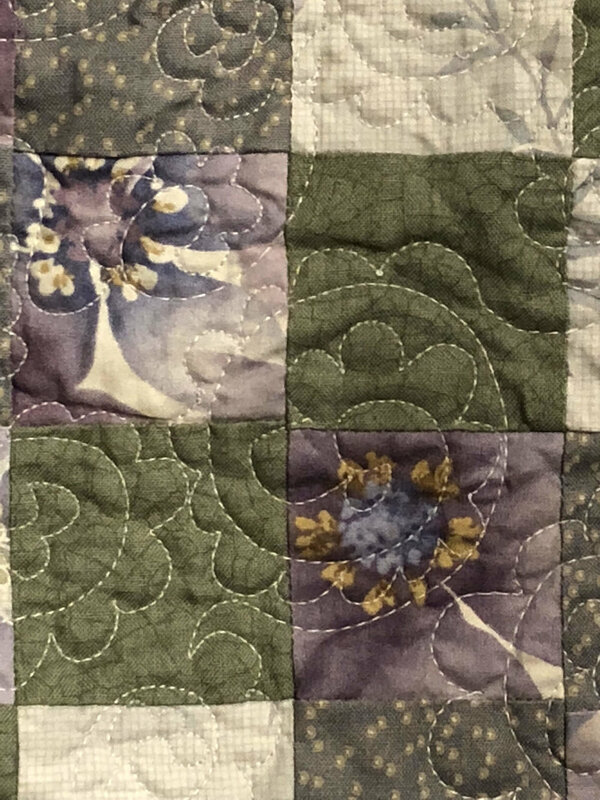 If you've been quilting for a long time, you'll still find lots of great information, tips, and inspiration here.